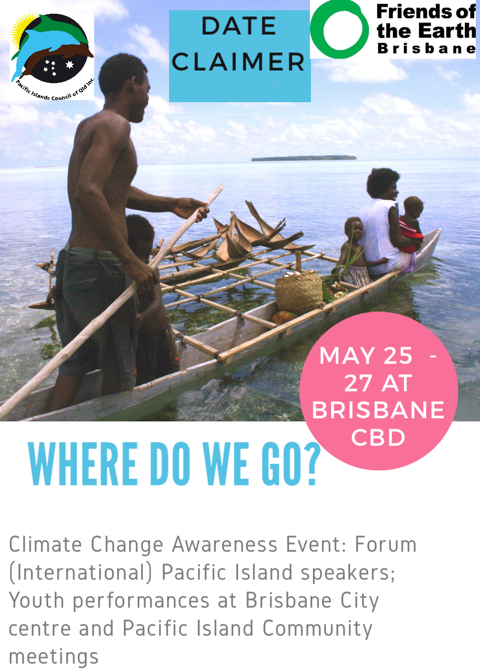 🌺 Our Pasifika family over at the Pacific Islands Council of QLD Inc. along with various QLD government bodies & organisations will be hosting the Pacific Climate Change Conference QLD 2018, taking place this coming weekend (25th-27th May) in Brisbane, Australia. The issue of Climate Change has affected all our Pacific Island homes one way or another. The Pacific Climate Change Conference QLD 2018 aims to create awareness on the challenges of climate change as experienced by those working with affected communities in our Pacific Island nations and we highly encourage you to take the time to attend to hear from these individuals who have traveled great distances to share their stories, research, experiences & initiatives taken to address displacement and relocation of our affected communities. REGISTRATION TO THE PUBLIC FORUM IS ESSENTIAL.